Continuing a pattern. Countries, states, businesses and cities who begin seriously implementing renewable energy meet with greater success, sooner, at less cost, than even the most optimistic proponents would have imagined. If we are going to catch up, now would be a good time to get serious. 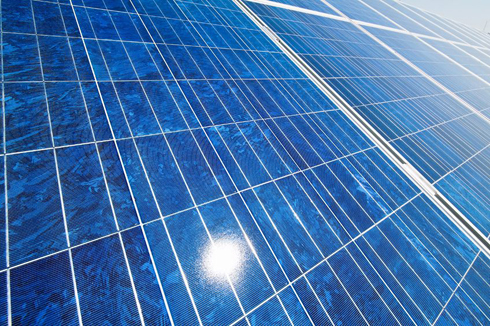 Huge interest for solar energy solutions has made the amount of solar cells multiply much faster than expected. This is made possible by favourable framework conditions. In fact the solar cell capacity will be a hundred times bigger this year compared with 2010. Currently 36 MW capacity are being mounted every month. Below, Denmark is already meeting 40 percent of its power needs from renewables. One reason why Germans believe they can switch to renewables so fast is that one of their neighbors, Denmark, proves that it can be done. At the end of September, the Danish Energy Agency announced that the country had crossed the 40% threshold for renewable power, making the share of green electricity in Denmark more than 50% greater than in Germany. While Germany has an impressive 25% share of renewables in its power supply – up from 20% at the beginning of the year, an increase of 5% in only 6 months – the Danes already had 28.1% wind power alone in 2011, according to a press release published by the Danish Energy Agency at the end of September. As a share of energy consumption (including not only electricity, but also heats and motor fuels), renewables made up 23.6% of the pie. The statistics are impressive because of the extent to which Denmark and Germany are switching to renewables with intermittent wind and solar power. Other countries, such as Norway and Austria, have traditionally had a much higher share of renewable power and renewable energy, but they base it largely on hydropower and biomass, which are dispatchable (within limits) but also not readily available everywhere. The Danes have an impressive goal of 100% renewable energy by 2050 for all of their energy, not just electricity; in comparison, the German goal of 85% renewable power by 2050 pales in comparison. But the Danish experience is also different. As the Danish Energy Agency explains, “In 2011 Denmark was the only EU member state to be energy self-sufficient,” with energy production 10% higher than consumption in 2011. The main reason is the large amount of oil that the country has in the North Sea relative to its small population of around 5.5 million. Nuclear waste free, plutonium free, renewable, perpetual, eternal, power! no “re-fueling” not ever! no dry holes, no wlls gone dry! no carcenogenic benzine molecules ! Today, The mighty U.S.A. has a terrible cancer! It has an unresolved nuclear waste problem! Once upon a time, “Fast Breeder Reactors” were to resolve this – they never appeared. Then Yucca Moutain Storage was devised – and failed. America’s largest ‘Hidden Deficit” – the costs associated with cleaning up this mess! Ontario, Canada follows Denmark with Solar, Wind, Wave, Hydro, Geothermal and CANDU reactors. I just saw a Facebook posting that the Premier of Ontario resigned abruptly today. And there was plenty talk about the cancellation of gas turbine plants and other issues. If the Conservatives in Opposition take control, it’s likely there will be a radical shift in Ontario’s energy strategy. Those socialist Danes have been chasing the greenie fantasy for 30 yrs – why aren’t they bankrupt? Why is their public debt to GDP ratio so much better than the USA’s? They’re #1 on the WSJ list. So yet another not-sunny country finds PV to be viable? C’mon America – what’s holding you back? http://www.solarserver.com/solar-magazine/solar-news/current/2012/kw02/german-pv-installations-in-2011-even-higher-than-in-record-year-2010-3-gw-installed-in-december.html , Germany is also on track to meet their 2020 solar projections years ahead of schedule. How pathetic are we? If we run out of grit, we will run out of time before we run out of solutions. I guess what really strikes me about this is how much less energy intensive the successful Danish model is compared to our seemingly profligate energy squandering ways in the U.S.A.
Danish electricity consumption per capita has been roughly flat since ’92 at ~6500 kWh per person-year. The most recent data I can find is for 2009 which was showing a decline to under 6200 so it may even be falling off slowly. Their CO2 emissions have fluctuated from 10-13 metric tons from ’65 – ’98 and have been reliably below low since falling to under 8.5 tons in 2008. The US trend for CO2 emissions over the same period looks about the same but the numbers are higher – 20-22 tons from ’68 – ’81, then staying mostly around 18.5 tons ( with a few swings up to 20 tons ) until 2008, then falling off by about 1 ton. For electricity usage per capita, the US curve is somewhat steeper but otherwise similar except for magnitude – a steady rise from 8,000 to 13,500 kWh from ’72 – ’00 (vs 3,000 – 6,500 from ’70 – ’94 for Denmark ) and relatively flat thereafter with a sudden drop around the start of the financial crisis. I suspect the US numbers are greatly helped by California’s large population and low per-capita energy usage. Thanks for adding to this thought about per capita consumption. Yes, that’s what my research has shown. California is a land of enlightenment compared to much of the rest of the nation, leading the way on energy issues the national government refuses to tackle. Helpful chart but I’m also looking for historical data on the per-state, per-capita electricity consumption over the last few decades. I doubt that Sweden’s model will spur much growth. The insolation levels are not high enough unless there’s a either a sharp reduction in the cost of solar panels or a significant breakthrough in energy conversion or both. The insolation in Sweden is about the same as in Germany and Denmark, no big differance. Sweden is not as populated, plenty of land to put solar panels and wind farms on. My solar panels outside Stockholm, 17 square meters, will generate 2 MWh a year. The payback time is about 15 year depending on electricy prices. And a have 25 years of garanty on the equipment. But mostly I do it for other reasons than money. « Joe Romm Interview – Why Is Climate Still Invisible?